Hawaii can be the perfect getaway just about any time of the year, if you know when to visit it. You’ll want to go during a season where activities and its scenic landscapes are available to be seen and safe to view, however. In Hawaii, you’ll find volcanoes, beautiful shorelines, and a rich culture ready to embrace tourists and expert travelers alike–but planning your trip carefully can ensure you have the best time there. Exploring the exotic landscape of Hawaii can be one of the biggest draws to visit but only if you know when to go. 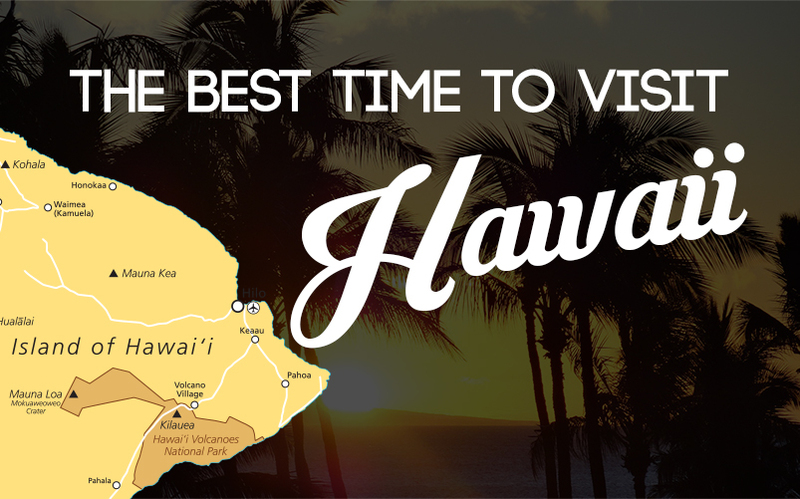 Pick the wrong season or month can mean some of the sights you wanted to see could be closed or unavailable, so do yourself a favor and see our tips for the best time to visit the islands of Hawaii! Please include attribution to https://thesavvytraveler.com with this graphic.